Tapepro Drywall Tools proudly offers contractors and distributors worldwide the finest automatic taping tools on the market for finishing joints in plasterboard construction. Tapepro tools are designed to produce a professional finish while reducing work fatigue and increasing productivity to work 3 to 4 times faster than setting by hand. The Tapepro line of tools incorporates design expertise that provides the contractor with greater durability and reliability. At Tapepro Drywall Tools we stand by our tools and proudly offer a 3 year warranty. Tapepro Drywall Tool Company is dedicated to developing and manufacturing the world’s leading Automatic Drywall Tools. Through continuous Research and Development, stringent Quality Control and the largest after market technical support program available, Tapepro Drywall Tool Company is committed to providing contractors worldwide with tools to give them the “Professional Edge”. 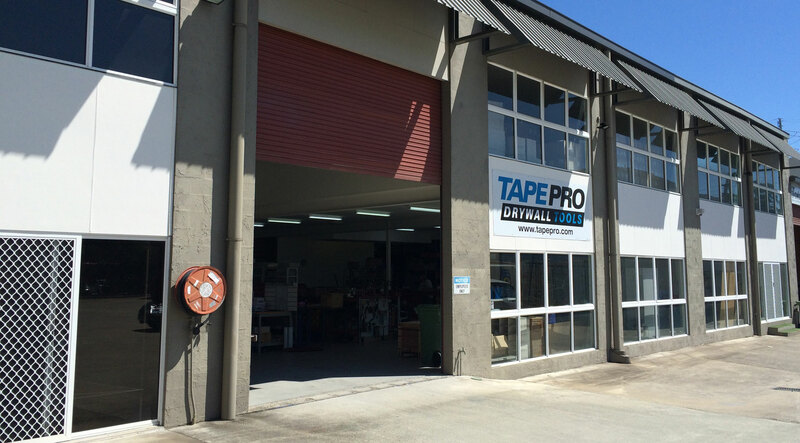 Tapepro offers a full range of training and technical advice and every tool can be serviced and repaired in Australia. All of our tools and equipment can be purchased through our distributors. Most tools come with a user guide which can also be downloaded from this website along with exploded diagrams for parts identification.